We perform general repair and maintenance service for all domestic and foreign passenger vehicles and light duty trucks. Our repairs include exhausts, brakes, suspensions, injection, and transmissions. In addition, we perform heating and air-conditioning repairs. Our shop is licensed to recharge A/C systems. Our technicians perform vehicle maintenance, which includes changing the oil, as well as replacing belts, hoses, and filters. We make sure to check battery strength during routine maintenance. Our technicians use a scanner to retrieve the code and follow the diagnostic procedure steps to determine what is needed to repair a specific code that is locked in your car’s system. 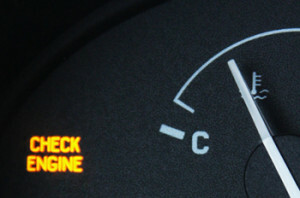 When you have a light on in your dash, such as “Check Engine,” we can diagnose and repair that. Some of the codes that are triggered in the system are “evap” codes. For that, our shop has a specific machine that allows us to perform a smoke test, so that we can determine where that leak is coming from. We rebuild alternators, starters, and generators for automobiles and trucks, as well as marine, farm, diesel, and industrial equipment. You can bring in a starter or alternator, and our technicians can rebuild the original equipment. It is our opinion that original equipment is always of better quality than aftermarket products. Our technicians are all trained in diagnosing electrical malfunctions in a vehicle, so they can trace, diagnose, and repair any electrical problems.